Multi-platinum global superstar Khalid has announced his North American headline dates for "Khalid Free Spirit World Tour" in support of his upcoming sophomore album "Free Spirit" - available for pre-order via Right Hand Music Group / RCA Records. Produced by Live Nation, the North American tour kicks off in Phoenix, AZ on June 20 and will take Khalid across the U.S. and Canada, wrapping in Miami on August 17. Khalid has enlisted friend Clairo, the 20-year-old "Pretty Girl" singer-songwriter, to appear as special guest on his summer tour. Tickets go on sale to the general public beginning on Friday, April 5 at noon local time at LiveNation.com. Citi®/AAdvantage® is the official presale credit card for the U.S. tour. As such, Citi®/AAdvantage® cardmembers will have access to purchase U.S. presale tickets beginning Tuesday, April 2 at 10 a.m. local time until Thursday, April 4 at 10 p.m. local time through Citi EntertainmentSM. For complete presale details visit citientertainment.com. 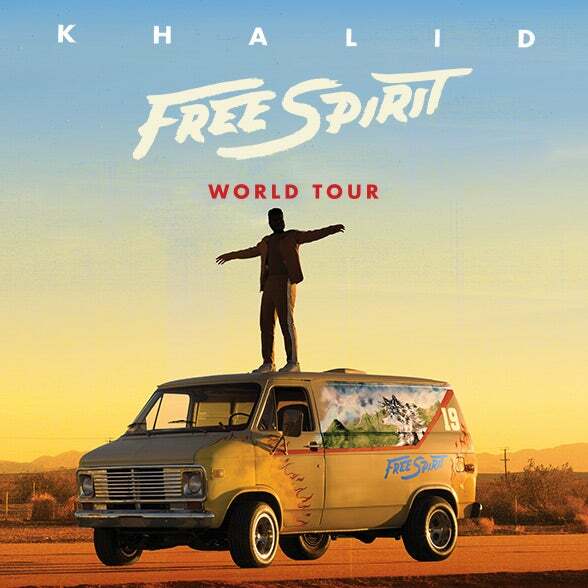 Every ticket purchased online to Khalid's U.S. and Canadian headlining dates will include one CD copy of "Free Spirit" (offer excludes festival dates). A limited number of LaneOne Premium Packages will also be available, including First On Floor access, amazing seats, transportation, preferred entrance and more. Check HERE for LaneOne details. Fans who have previously purchased merch will receive an exclusive code via email granting them access to the official merch presale on Wednesday, April 3rd at 4PM local time until Thursday, April 4 at 10 p.m. local time. Khalid recently released his new single "Talk" along with the music video. CLICK HERE to watch. Written by Khalid and produced by Disclosure, "Talk" is the lead single off "Free Spirit". Live Nation Entertainment (NYSE: LYV) is the world's leading live entertainment company comprised of global market leaders: Ticketmaster, Live Nation Concerts, and Live Nation Sponsorship. For additional information, visit livenationentertainment.com.